As the nontraditional outdoor wedding venue experts, we know a fabulous nontraditional venue when we see one (brushes shoulder off). Our mission at Mayflower Venues is to help couples discover the perfect unique venue and then offer them the tools and online support to help them create one-of-a-kind custom weddings. Your love story is unique, and your wedding should be too. 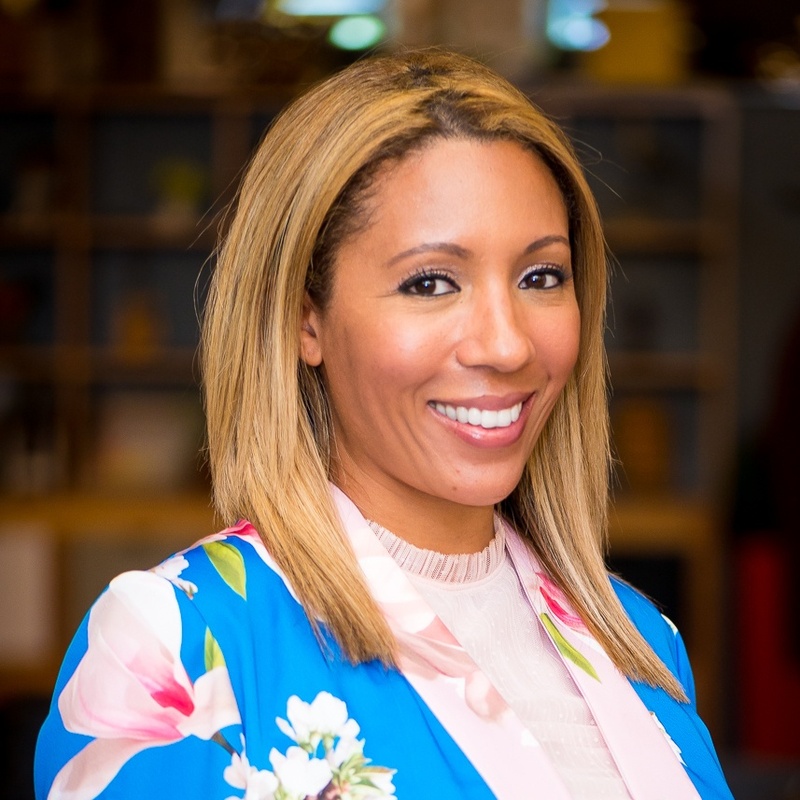 Nontraditional outdoor venues afford couples the flexibility to craft a wedding day that is truly reflective of their personalities, interests, and values. The venue you choose says so much about what you value in your life. Hosting an outdoor wedding while surrounded by natural beauty makes a statement about what matters most to you and your fiance. Think of a nontraditional wedding venue as the blank canvas on which you, the artist, can create the ultimate nuptial experience. Whether you're hoping to weave details of your post-hike engagement into your wedding day or want to share your love of Maine with your out of state guests, we've curated five nontraditional wedding venues located in Maine for you to explore. With its incredible twenty acres of forests, open fields, pastures, and gardens, Ivory Brook Farm showcases the best the Cape Neddick area has to offer. Gorgeous emerald greens and immaculate flower gardens abound, the distinct charm of this nontraditional wedding venue is undeniable. The elegantly restored 250-year-old barn can be dressed up or down according to your wedding design. Ivory Brook Farm has ample space for you to customize your wedding to your liking. Entertain wedding guests inside the barn during cocktail hour, use the open field as space for your guests to mingle and play games, and host the ultimate outdoor wedding reception under the tent of your choice amongst the twinkle light adorned willow trees. Or consider an outdoor ceremony by the water garden and an indoor wedding reception in the gorgeous barn. Your wedding can be as casual or refined as you wish at Ivory Brook Farm. Each Mayflower Venue includes 24 hours of setup access the day before your wedding to ensure you have plenty of time to tailor the space with your vendors and decorations. 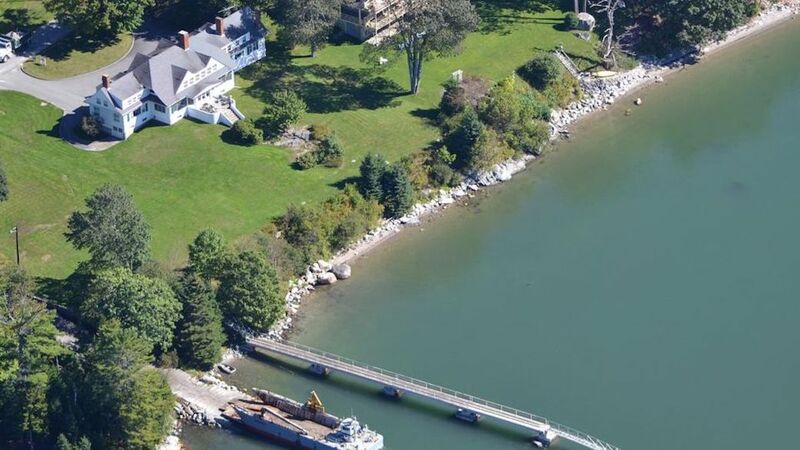 For couples looking for a nontraditional wedding venue in Maine with water views, The Lawn on Frenchman Bay might be a perfect choice. 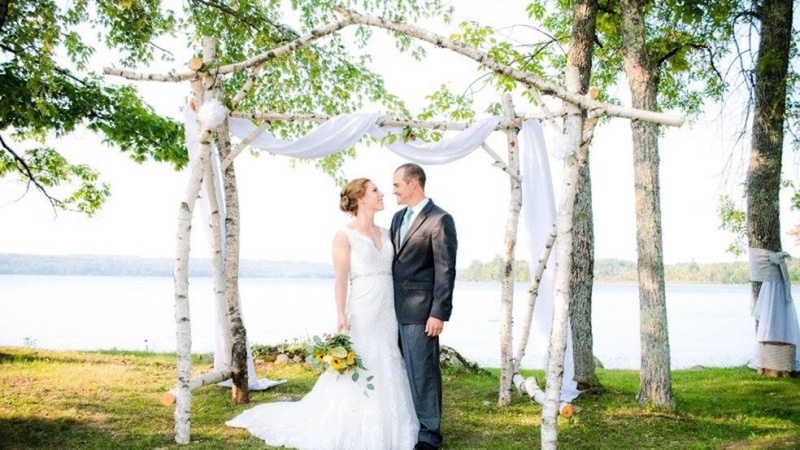 Encompassed by Acadia National Park, the blend of forest, ocean, and mountain views creates a stunning backdrop you'll treasure forever in your memories and wedding photographs. Say your "I dos" along the shoreline with views of Bar Harbor in the near distance and entertain your guests at your tented reception on the lush green lawn. Revel in the sounds of the crashing waves and dance the night away before retiring to the exquisite seaside estate. Tastefully decorated and well-maintained, this home offers the comforts of home for you and eleven guests. Host your wedding at this remarkable private estate in Southern Maine. Featuring a private orchard bursting with apple blossoms, a white placard barn, and an abundance of outdoor space, the Historic Hilltop offers a broad range of amenities and features for your wedding. Included in the venue price is a two-night stay at the estate. Treat fifteen guests to a weekend stay in one of the area's finest homes and enjoy nearby Sunday River. With plenty of shopping, fine dining, and recreational activities close by, this wedding venue allows you and your guests to take full advantage of the region's best attractions. 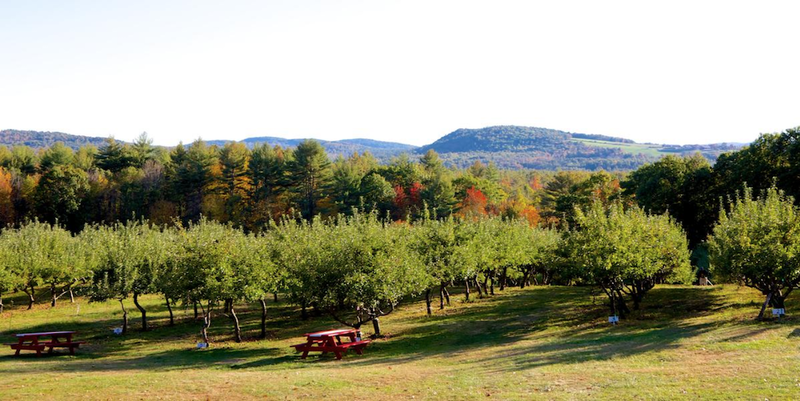 Overlooking both the Saco River Valley and foothills of the White Mountains, The Saco Valley Orchard's views are like something out of a dream. This family-owned organic apple orchard offers personal touches that add another dimension of personalization to your wedding. You're welcome to use the custom farm tables the family hand made and send your guests home with a wedding favor straight from the Saco Valley Orchard farm store. 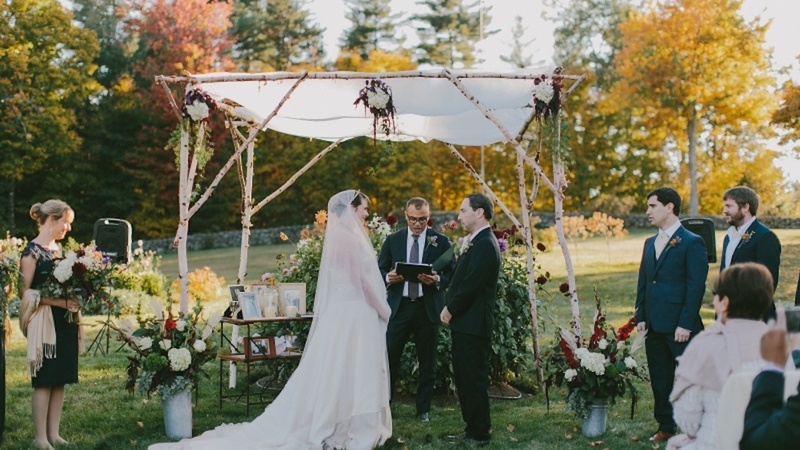 Host your reception amongst the fruit trees and allow your guests to take in the quintessentially Maine character of this nontraditional wedding venue's surroundings. Serene and private, Saco Valley Orchard is a fabulous option for couples looking for a unique farm wedding space in Maine. 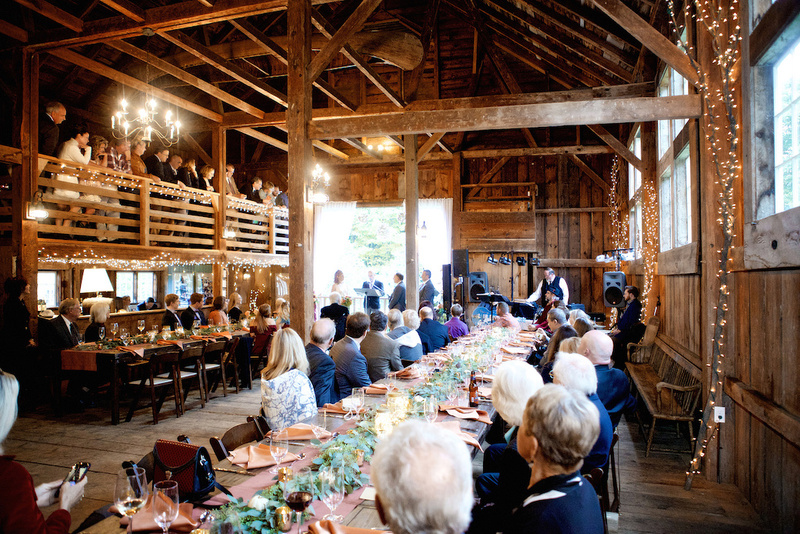 Absolutely dreamy inside and out, this Maine wedding venue has an extraordinary story to tell. Family owned for eight generations, the Marigold Lodge has been host to all of the family weddings. Take a quick peek at the venue profile, and you will see why. The lodge's cedar walls, cathedral ceilings, and oversized windows with lake views are the epitome of rustic sophistication. With plenty of space for a tented wedding, your wedding setup is entirely up to you. Like all Mayflower Venues, you are welcome to choose your vendor team so you can ensure that your wedding day is unlike any other. Looking for even more nontraditional wedding venues in Maine? We've got you covered. Explore all Maine venues here.